This entry was posted in learning at home, Parenting, teaching and tagged Autism, autistic, english, German, homeschooling, language, literature, Parenting, Romeo and Juliet, Timed Timer, typing to communicate, unreliable speaker, unschooling. Bookmark the permalink. Oh dear friend…..so far we have both come since the day over 3 years ago that I looked at your blog and wondered how could there be two Emmas, two Nicks and two blogs and had I finally, finally lost my mind for real this time……. Love to all of you! I am taking a break while Emma is giggling! We are at the College library, she has a big math exam on Monday. Yes…she has accommodations…technical talk for me or one of her other aides assisting her typing. She will return to her blog to write about that soon, I suppose. hugs right back Paige. Please tell your Emma I think of you both often and I’m cheering her on from afar. How wonderful!! I wish I could have learned at home, with the tools available now, at Emma’s age. School would have been much less of the hellish experience it became. Private high school helped, but I wasn’t ready for the social aspects. I have a question for Emma, one autistic to another: “What to do, when words are too cheap to express the world inside us?” I know that’s cryptic, it is simply the best I can phrase it. I love that question Ann, I’m very curious what Emma will write! Very nice! I over excelled in school beginning with my growth spurt and was into college work by mid 6th grade–if only they would have let me go on!!! So then I became stifled. Teaching someone like me must have been completely overwhelming, and I remember how I intimidated the teacher back then. Now I am old (well, we are about the same age), but I can see where you would wonder how to keep up with Em. LOL. I am thinking about tutoring, and cannot even remember what I once knew. LOL. But I still have that way of knowing that seems to absorb whole truths about something, like a holographic picture, so I think I can still learn and will learn along with those I tutor. I think the best I can do is give as much opportunity and provide really smart people who can teach, and then go along for the ride and learn too. I always wonder when I hear people like you describe how you were held back from learning more… it’s such a peculiar concept that a teacher would say to someone – your moving too far ahead. It’s the anti-thesis of what should happen! Z, I always knew in the back of my mind that you would make this decision someday and never regret it. I am in complete awe as I read everything you guys are doing. Emma will have a wonderful “cabaret life”, indeed. Although I miss reading your posts every day I am so glad you’re doing something so meaningful for the both of you. She’ll be the most knowledgeable kid in NYC at this rate! And I miss hearing about what you guys are up to. Love to you and Risa! I would love to talk more about this with other families who have kids who are interested in learning other languages, but who do not/cannot rely on spoken language to communicate. I was shocked when Emma said she wanted to learn German. But she really enjoys it. It’s such a wonderfully wacky language with words that go on and on. 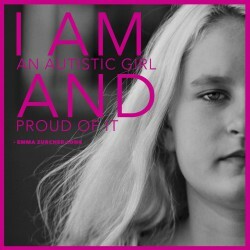 It amazes me each time another bright mind is “discovered” by refusing the typical “status quo” for teaching autistics. I am realising that in all likelihood my daughter will be homeschooled when she gets to age 12 and there are no secondary schools in the area that are suitable. My gut clenches in terror every time I think of the responsibility, but reading this has reminded me that we will be taking it one day at a time. It will be achievable. I’ve even broken the day down into one topic at a time, because sometimes a day can seem very long! But looking back, even those scattered and thankfully rare days when I was in a panic, I am so glad we are doing this! Another thing is I hadn’t factored in the enormous stress I felt every day that she was at school, never really knowing what was causing her to be so upset, never completely knowing what was going on there. The bus was also a source of near constant worry and concern. And this was all just from my end. The anxiety, upset and stress Emma felt was much more than mine. So the relief, the incredible relief we both felt when we pulled her out of school is indescribable. Emma is so cool. I wanted to study things like kendo and martial arts. Japanese. Irish history. I kind of want to be homeschooled now and to study things i am interested in and write novels. And make music. Also get a harpsichord. And paint. I just loved reading your list of things you would study and learn! How wonderful. Oh there is so much more. Like music production. Making music like bjork and trent reznor and iamamiwhoami. How to shred on a left hand guitar and sewing so i can make that plush bearded vulture. Studying corvids. Ancient pocket watch repair. The study of spiders and other critters. Making elaborate war scenes using soldier dolls. History. I really need more money. Also large model ship building. Homeschooling sounds great. No need to worry about bullying or teachers wasting your time by dragging the lesson as long as they can with teaching as little as possible, saying in 45 minutes what can be summirized in five minutes. And you choose what to teach, and it strengthen the relationship between you and Emma. excellent idea. I believe Emma has learned more in these last eight months than in her entire school education. I should have homeschooled for the entire time, not just a few years. Desperately regret it now. You can learn so much in such a shorter time, leaving time to study interests and living skills. I love this. I just wrote on homeschooling a few days ago so this is uncanny! I admit the first few years I put my kids back in twice before I took them out for good…there is so much pressure to do education a certain way that each time I took them out I would cave to that pressure and put them back in (thinking I failed them) but the final straw was when my child was crying from school, feeling like a failure, and she REGRESSED from being in school…then I realized I could let go of my guilt, and even if I DID end up failing at teaching some things, I would never fail at shaping her confidence and installing love and the love of learning…and that gave me confidence to keep going. My youngest is so different from the other two in this regard…they are more self learners and sometimes ahead in certain topics, but he is instead ahead in ethics and thought…but when it comes to academics I have taken a whole unschooling approach with him especially (which I wrote about) and so far I think it is working! Each child is so different! I love what you are doing with Emma and I love her thoughts on each topic! She has beautiful ways to articulate feeling into thought! I can see that as we move forward we will do more and more what is called un-schooling or maybe it should just be called, LEARNING! Your doing a amazing job! Thank you so much Lorri! I like timers too. 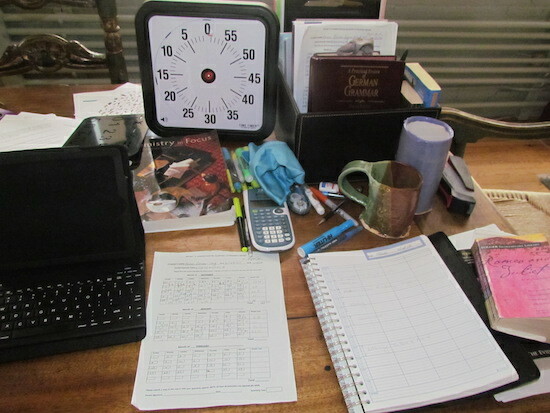 But number timers are too stressful, keep counting down time instead of doing activity I am supposed to do. So I have sand timers. For practicing flute I have a bright blue sand timer for 15 minutes. No numbers, no trying to count out how many minutes are left, just not possible. But also, no endless time to panic about. Clear passage of time from sand trickling down so I know time is passing and it will end. Have other sand timers too, one minute and three minute and five minute and wish had more money to get 30 minute and hour long sand timers too. They are calming. Oooooohhhh!!! Sand timers!!!! Thank you, thank you for this. Never thought of sand timers!!! Running off to google – sand timers. Amazon has many in different times and colors. Just be careful, they can be fragile if not have wood frame around them. Thanks for the link! They are really beautiful objects as well as being functional. I will show to Emma and see what she thinks. I read through the blog from start to finish recently and my eyes fill up with happiness for you guys when I read posts like these. I’m autistic, 20 now and only recently diagnosed, and suddenly all my many, intense problems (I can’t adequately describe the pitch of the distress I used to feel) with schooling make sense. I just wish I could homeschool my wee boy but I’m not in a position to work from home/not work. I don’t think school, the way it is now, is good for children the majority of the time especially if they require any kind of accommodations or alternative teaching methods. Aw Kat… I agree about schools, or most schools anyway. I too am considering homeschooling using RPM methodolgy. I was wondering if your daughter was in a private ABA school and why you decided to pull her out. I am meeting more parents telling me their kids are failing at both public and private schools and want another option. Any advice is appreciated. We pulled her out of a public school, though she’d also been in a DIR based private school prior to that. Once we saw all that she was capable of, the difference between what the school was doing and what we knew she could be doing was too vast. It felt like less of a choice and more a given. Best thing we ever did! Besides the timer do you also use any daily visual schedules such as first reading, then math, then writing, art, then swimming, etc. either in written or picture form or as an app on the iPad? I am curious if these can be added depending on the child’s needs. Additionally, for ADL type skills can a task analysis be used along with RPM teaching methods? Besides the child camps in Autisn do you have any recommendations for closer providers near the NJ area? My child also has medical issues and putting him on a plane to go to Texas would be rather difficult right now but I really would like to get him started asap. We do not, though we do have a schedule that we go over. As far as other providers in NJ… are you in the RPM Facebook group – Unlocking Voices? It’s a good resource and particularly helpful for questions like these.